We are getting closer and closer to Halloween. I am trying to continue my challenge of posting every day until Halloween. Today’s post is a simple card. I love this vintage, naughty witch. I made this card to sit beside the punch bowl at a Halloween party. The sentiments and the circle design are from Papertrey Ink, but I don’t know where the lovely witch is from. If you do, please let me know. 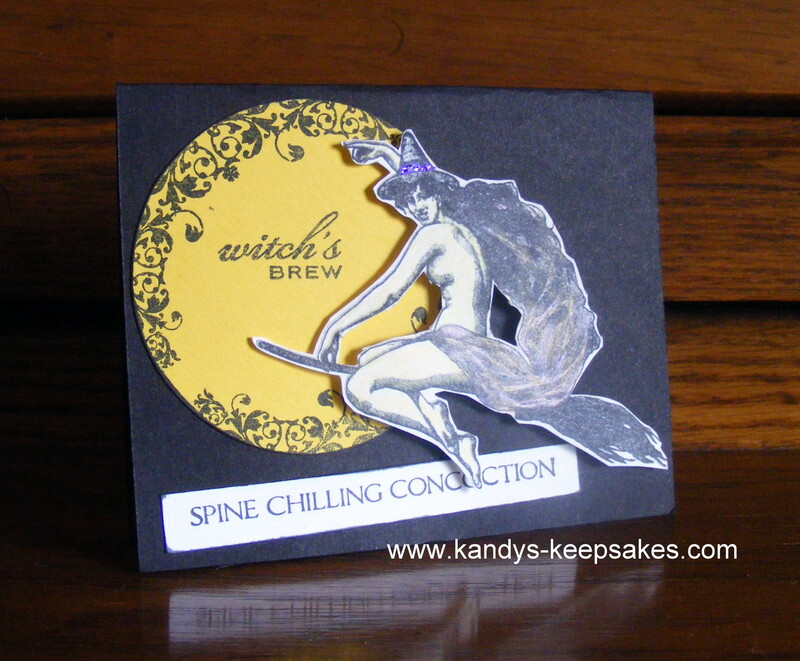 This entry was posted in Cards, Rubber Stamped Items and tagged broom, Halloween, Moon, witch, witch's brew. Bookmark the permalink.